Welcome | Sea Coast Communications Inc. Serving All Of New Hanover, Brunswick, and Pender Counties With Reliable Communication Sales and Services Since 1974. Sea Coast Communications, Inc is the authorized dealer for Kenwood Communications and Motorola Accessories in Wilmington, North Carolina. 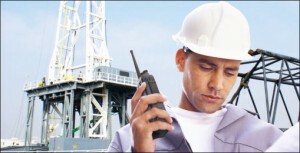 We specialize in sales, service, and rentals of two-way radio communication equipment. Known for sleek and efficient design, acknowledged worldwide for quality and consistently preferred by government and industry, Kenwood commercial portable and mobile two-way radios are the reliable and cost-effective choice. Only Motorola Original Products are performance-matched to guarantee the same high standards of quality that you enjoy with your Motorola two-way radio. When you see the Motorola Original logo on the products, you know the products are built and tested to meet the highest standards. Sea Coast Communications, Inc offers the best value on the highest quality equipment you will find backed by our 2-year warranty on parts and labor. Give us a call today or visit our location where we look forward to serving all of your two-way radio communication needs. NEXTEL offers an array of handheld and vehicular mounted devices to choose from to suit the specific usage of your enterprise. Whether it be basic worldwide Push-To-Talk functionality, worldwide Push-to-Talk with telephone capability, or worldwide Push-to-Talk with telephone & data, GPS based location tracking, Point of Sale & Mobile workforce productivity, NEXTEL offers the features you need in the form factor that fits your application. Choose from NEXTEL classic style handheld and mobile radio models or step up to next-generation devices like our line of rugged smartphones and tablets. NEXTEL’s powerful PC Dispatch software enables efficient management of field units via its GPS location viewing as well as archiving and instant recall of location and NEXTEL group & private connect calls.